We are experts at replacing broken garage door springs, and we recommend hiring a pro to perform your replacement due to the high torsion of the springs, they can cause harm to your person and property if not removed correctly! No matter the issue with your broken garage door opener, we’re here to help! Ask about our lifetime warranties on torsion springs! 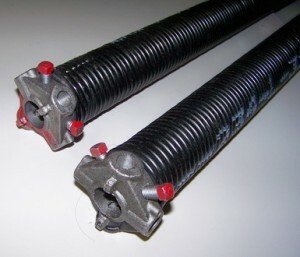 One of the most commonly replaced parts on a garage door in Milwaukee is the torsion spring. Broken and damaged spring problems occur on a consistent basis, and can prevent your garage door from working completely. Our technicians have become experts in the area and can have your springs replaced within hours, and have your garage door running smoothly again. Our technicians are equipped with the highest quality springs in the industry, so our replacements are under a lifetime warranty. The springs that we use have a life span of around 10,000 cycles. This usually equates to 7-10 years of every day use, depending on how many times a day your door is going up and down. 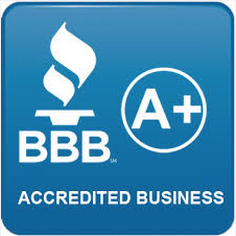 Give us a call today and we can have your springs replaced and your door back to working order in no time. 2 Types of Garage Door Springs Exist – Which Type Do You Have? These springs are usually located above the upper horizontal tracks on each side of the garage door, and they are very common. The springs will extend in order to open the door to provide a counter weight force to raise the door from the ground. The greater the weight of the door, the more the springs will extend to counter that weight. If you have extension springs you will need safety cables installed to make sure that you and your family are safe from a projectile in the event of a spring failure. Torsion springs are found on the majority of modern paneled garage doors in suburban homes today. They use torque(hence their name) to raise garage doors. Torsion springs make a twisting motion and coil on the shaft above the door. Depending on the weight of your door, you may have 1 or 2 springs installed, we always recommend two if you have the budget for it because they will last much longer as a duo. We can replace any size of springs on the market, and carry the top of the line springs to make sure you get a long life when we replace your broken or snapped springs in Milwaukee or in another of our service areas.